Hong Kong-based laptop manufacturer Nexstgo entered India very recently, launching its own lineup of premium, business oriented laptops in the country. Soon after, the company has now launched laptops by its sub-brand Avita in India. The Avita Liber laptops are spread across a wide range of prices, and focus on bringing colourful builds into the market. In terms of specifications, the most basic configuration is powered by a 7th generation Intel Pentium N4200 processor, along with 4GB DDR3 RAM, 256GB SSD and 10 hours of rated battery life. It sports a 14-inch display that, despite the low price tag of Rs 27,990, comes with a full HD resolution display panel. At the other end of the spectrum is the higher spec’d Avita Liber 14, which is powered by a 7th generation Intel Core i5-7Y54 processor. This is further aided by 8GB DDR3 RAM and 512GB SSD storage. This configuration retains the same battery power rating, and is priced at Rs 83,000. The mid-configuration includes a 13.3-inch full HD display, with the rest of the configuration remaining the same as the higher spec’d Avita Liber 14. Avita has also specified that its India portfolio has a 12.5-inch variant as well, which includes the 7th generation Intel Core i5 processor, 8GB RAM and 256GB SSD. The smaller laptop has a slimmer footprint, weighs only 1.14kg, fewer I/O ports, a smaller battery with 8 hours of rated standby time, Bluetooth 4.2 and four colours for its aluminium chassis. This variant, however, has not been included in the launch note, and it is possible that this variant will be launched in India later. 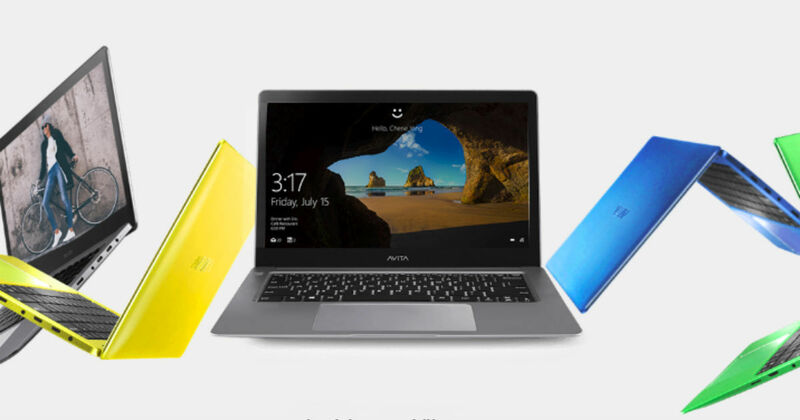 In terms of common specifications, all the Avita Liber laptop SKUs include integrated Intel HD graphics, standard WLAN and Bluetooth 4.0 connectivity, two USB 3 Type-A ports, one USB 3 Type-C Thunderbolt port, microSD slot, audio jack and a mini HDMI port, and are built on aluminium chassis with 14 different colours to choose from. The laptops are available across all major online portals, and will be available with offline vendors by the end of January 2019. As an introductory offer, all the laptops are being offered with three years of international warranty.